Pam Ayres is celebrated in the UK (and far beyond) as a favourite radio, TV and stage entertainer; it is impossible to read her comic poems without hearing her voice in your head. She says that she wrote them to be proclaimed out loud with gusto. Pam Ayres was born in 1947 in Berkshire and left Faringdon Secondary Modern School at the age of 15. After a stint as a clerical assistant, she joined the Womens' Royal Air Force where she discovered a love of singing and acting. Performances at a local folk club led to her reciting her poem 'The Battery Hen' on BBC Radio Oxford; this was selected for Radio 4's Pick of the Week and repeated on the 1974 Pick of the Year programme. In 1975 she won the TV talent show Opportunity Knocks with her poem 'Pam Ayres and the Embarrassing Experience with the Parrot'. There followed appearances in the UK and throughout the world and a triumphant career as the only living professional writer and performer of comic verse. 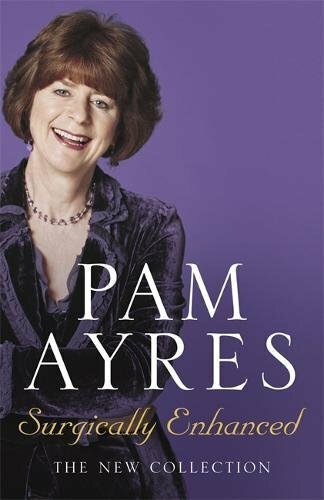 Voted in the top ten of the 1996 BBC poll to find the UK's favourite comic poems, Pam Ayres' work is funny, and approachable. It sounds simple too, as though dashed off, but this is deceptive. Her hair-trigger timing (she calls it the pleasant shuffling of words to get a comic effect), her eye for the detail of everyday life and for absurdity, make up an art that hides art. Her voice is an essential part of this: the Oxfordshire accent, the self-mocking pedantic precision, and above all the warmth and gentle kindness she conveys in her performances. It is a specially English brand of humour deriving from the tradition of music hall, via John Betjeman and the comic observation of the artist Beryl Cook. On this recording are some of her most popular pieces. 'I wish I'd looked after me teeth' is on the walls of countless dentists' waiting rooms, while 'Yes I'll Marry You, My Dear' is frequently requested at weddings, both civil and ecclesiastical. If it weren't for the cheerful rhymes, clicking neatly into place, both pieces would be too true to be funny; as it is these readings make you laugh before they make you think. 'They Should have Asked My Husband' demonstrates the writer's unique performance style: her delight in the sounds words make, her escalating comedy irritation and her joyous putting in of the boot. 'Woodland Burial' on the other hand conveys an acceptance of death in the tender warmth of her speaking voice as much as in the beauty of her writing; it is often read at funerals. Recordings by Pam Ayres are available from her website. 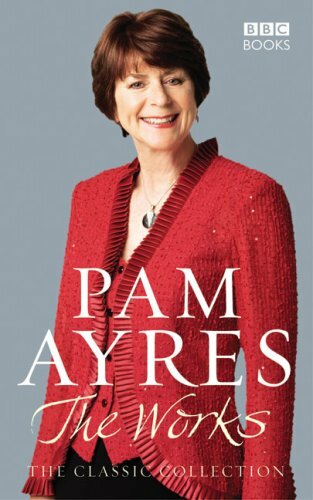 Pam Ayres' tour dates are available here. Listen to Pam reading an extract from her book, The Necessary Aptitude.